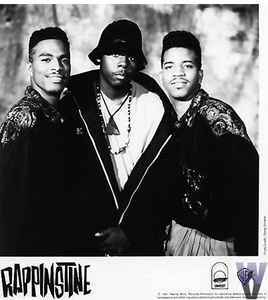 Rappinstine started out as mobile DJs for the original Wreckin' Cru before departing along with Unknown DJ and Dr. Rock. With the help of former DJ partner Dr. Dre, they helped work on the Sleeze Boy's electro-dance hit "Robocop" and landed a deal on the newly formed Ruthless Records label in 1987-88. They released the single "Scream" that same year which found its way on the original Macola pressings on the N.W.A & The Posse compilation album (the track was not included on the Priority Records re-issue in 1989). Two years later in 1991, the duo put out their first full-lengthed album titled The Ultimate Creation on Warner Brothers with the singles "The Good Life" and "Mary Jane".